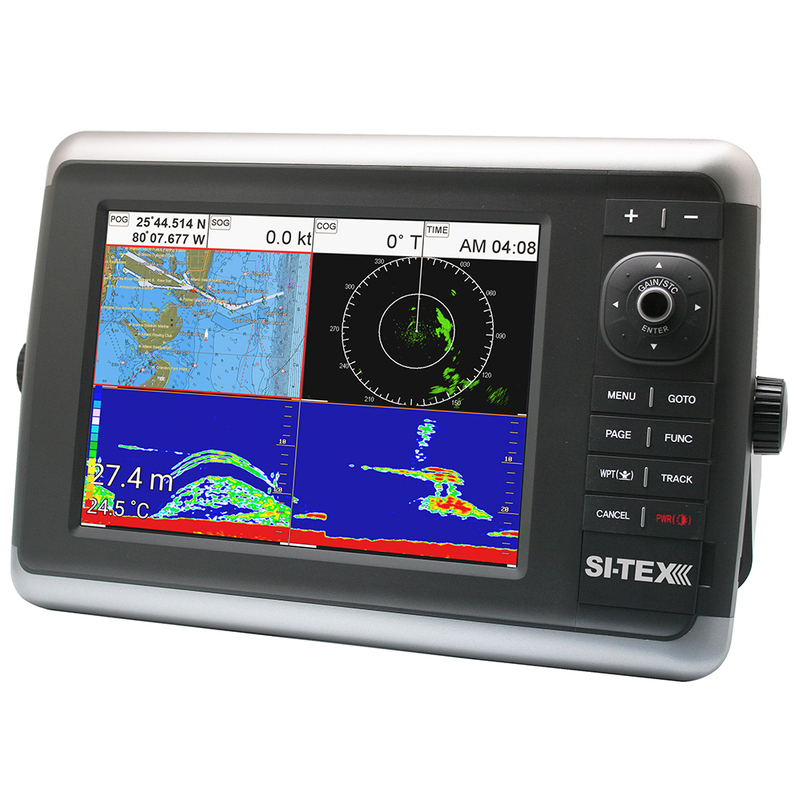 The NavStar Series is the first SI-TEX MFD to offer the versatility of hybrid touch-screen operation, allowing navigators to access all of the unit’s advanced features via simple touch screen or traditional controls. At the heart of each of these systems is a powerful Cortex A9 1.6GHz Quad Core processor for fast, seamless operation even when utilizing multiple functions simultaneously on the four-way split screen display. NavStar’s versatility is further enhanced by its built-in Bluetooth connectivity and wireless LAN, providing fast Internet connection, automatic chart and software updating, and the ability for boaters to access the Worlwide Skymate Satellite Communications system.